Shopping carts are the worst place to lose a customer. You’ve spent hours preparing descriptions for items in your shop, only to lose a customer to a bad case of cart abandonment. When a potential client is not interested with your promo message, you can always improve it. When the description of your items is not detailed enough, you can expand it. However, how do you tackle cart abandonment? See how you can use chat invitations to approach unsure customers and help them finish their purchase. Chat invitations are short, personalized messages encouraging website visitors to start a chat. You can use them to engage various groups of visitors in various situations. For example, you can create a greeting that will trigger when somebody goes back and forth between two similar products and offer advice that will lead to a purchase. Well-customized invitations can lead to chat three times more often than a generic invitations. Instead of sending the same message for all visitors, each visitor can get a message that is tailored to his or her needs. 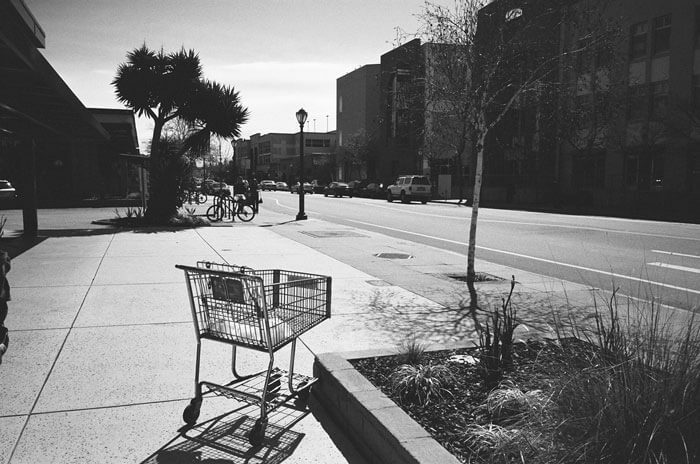 This is perfect tool you can use to deal with cart abandonment on your website. Different invitations types can be used to engage visitors on various pages. Chat invitations point the conversation in a particular direction from the get-go. You don’t have to waste time on asking general questions and you can go straight to business. custom, lead-nurturing message sent to customers who have reached a particular cart value. 1. Time-based invitations for undecided shoppers. This kind of invitations is great way to help visitors who have reached the checkout site but might have encountered some difficulties leading to cart abandonment. For example, the visitors may be looking for additional information on your shipping methods, or seek detailed payment information. Using an analytics services like Google Analytics, KISSmetrics or Mixpanel you can check how long on average it takes your visitors to finish a purchase. After that, you can set up a chat invitation that will trigger after that time. This way, you can detect potential cart abandonment cases and intervene to save the sale. CampusBookRentals, an online service that offers an affordable way of getting textbooks uses this type of invitations to decrease their cart abandonment rate. They issue a customized invitation after a potential customer spends 2 and a half minutes on the checkout page. Their greeting seems very successful as they note 29% conversion to chat. That’s 29% more chances at netting a sale, all thanks to the invitation. 2. Nurturing customers who reached a certain cart value. Sending invitations to visitors who have reached a certain cart value will allow you to focus your efforts on the most prospective opportunities. This can be extra helpful for companies struggling with limited resources. Instead of going for a wider audience, you can focus your efforts where it counts. Orange uses this kind of invitation on the ecommerce part of their website. Customers who have added a mobile phone above a certain price point receive a customized invitation. After the greeting is accepted, agents can nurture the lead to a successful purchase. Orange has calculated the average cost of each chat contact. Using that information, they can issue their invitations in cases where the potential sale outweighs the cost. The chats from such invitations seem to be fairly successful too as conversion rates for them fall into the 10-25% range. 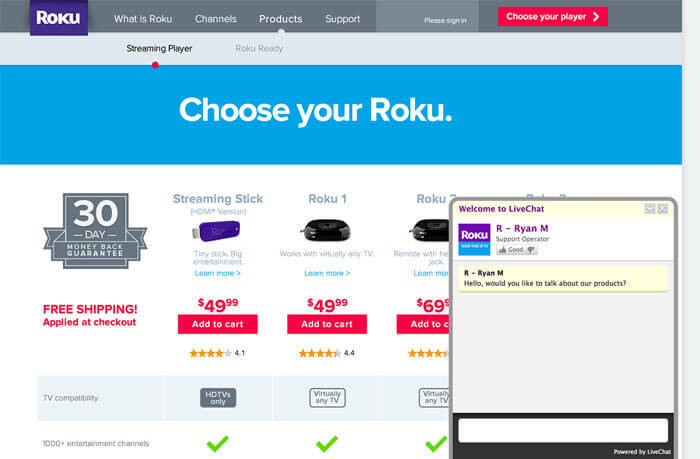 Greeting on Roku’s site also offers help when choosing one of their products. 3. Solving payment problems with custom variables invitations. These invitations are fairly difficult to set up but it’s definitely worth the effort. Using custom variables, you to prepare a greeting that triggers after a certain action on your site was performed. For example, you can issue an invitation when a customer fills out a form incorrectly and offer some help. Although it requires some additional setup in your website code, it allows for the highest degree of customization. The Simply Group an online outdoor and leisure shop uses well-prepared custom variable invitations to counter payment problems of its customers. Whenever the payment doesn’t go through or there are some problems with authorization, a greeting is issued to help the customer finish the purchase. The Simply Group notes conversion rates of 14%, which is almost two times more than a typical invitation can achieve. Cart-saving chat invitations will help you save clients who are about to leave at the last possible moment – during the checkout process. You can also accomplish more than that with invitations. Every crucial step in the conversion path on your site can be improved with well-placed, contextual invitations. 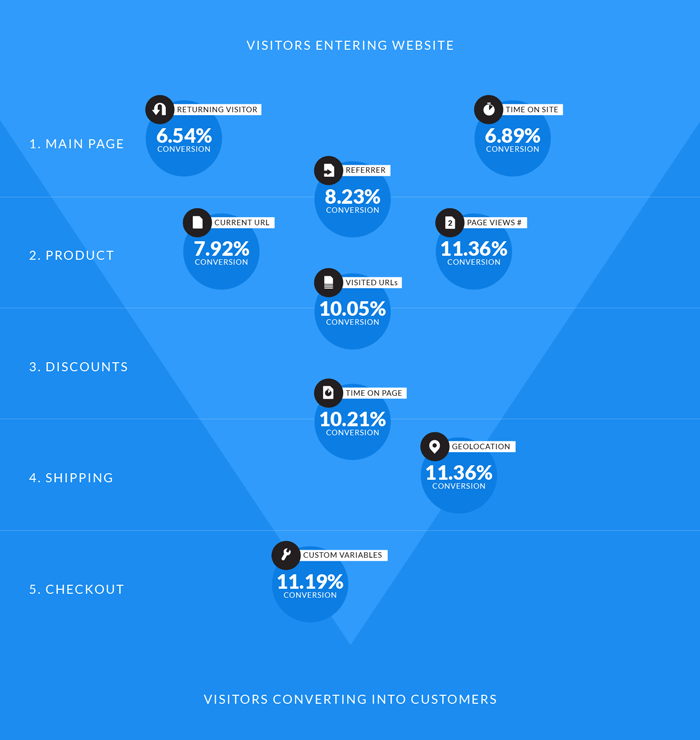 You should work your way up from the more specific steps like checkout, signup to more general conversion points like product pages or even your main page. 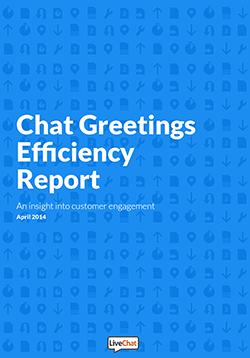 If you’d like to learn more about greetings, the way they work and their effectiveness, you should check out our Chat Greetings Effectiveness Report. It will give you extensive knowledge you can use to create well-converting invitations and to tackle cart abandonment. Grab a free copy of the report – no need for signup or leaving your personal data.